""The Golden Egg" weaves in Brunetti's relationship with his family, his avaricious boss and the beautiful Signorina Elettra. Add to the mix a convoluted and lightning-paced crime narrative, and you get one of the finest mysteries to come out of Europe in quite some time." --Bruce Tierney, "BookPage"
Over the years, Donna Leon's best-selling Commissario Guido Brunetti series has conquered the hearts of lovers of finely-plotted character-driven mysteries all over the world. Brunetti, both a perceptive sleuth and a principled family man, has exposed readers to Venice in all its aspects: its history, beauty, architecture, seasons, food, and social life, but also the crime and corruption that seethe below the surface of "La Serenissima." In "The Golden Egg," as the first leaves of autumn begin to fall, Brunetti's ambitious boss, Patta, asks him to look into a seemingly insignificant violation of public vending laws by a shopkeeper, who happens to be the future daughter-in-law of the Mayor. Brunetti, who has no interest in helping Patta enrich his political connections, has little choice but to ask around to see if the bribery could cause a scandal. Then, Brunetti's wife Paola comes to him with an unusual request of her own. The deaf, mentally disabled man who worked at their dry-cleaner has died of a sleeping-pill overdose, and Paola's kind heart can't take the idea that he lived and died without anyone noticing him, or helping him. To please her, Brunetti begins to ask questions. He is surprised when he finds out the man left no official record: no birth certificate, no passport, no driver's license, no credit cards. The man owns nothing, is registered nowhere. As far as the Italian government is concerned, the man never existed. It is even more surprising because, with his physical and mental handicaps, both he and his mother were entitled to financial support from the state. And yet, despite no official record of the man's life, there is his body. Stranger still, the dead man's mother is reluctant to speak to the police and claims that her son's identification papers were stolen in a burglary. As clues stack up, Brunetti suspects that the Lembos, a family of aristocratic copper magnates, might be somehow connected to the death. But could anyone really want this sweet, simple-minded man dead? Donna Leon's Brunetti series has gotten better and better in recent years, with countless reviews praising her remarkable ability to keep the books fresh, the depth of feeling genuine. This story of a troubled life is undoubtedly one of her most touching, emotionally powerful books--a standout for the series. 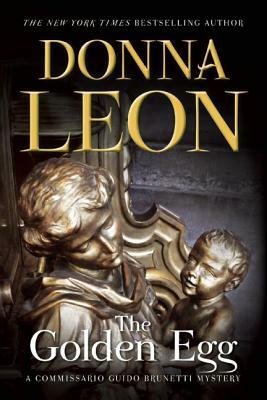 Donna Leon is the author of the international best-selling Commissario Guido Brunetti series. The winner of the CWA Macallan Silver Dagger for Fiction, among other awards, Leon was born in New Jersey and has lived in Venice for thirty years.